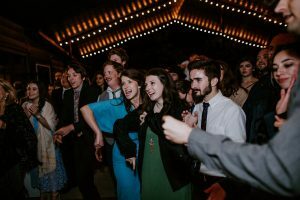 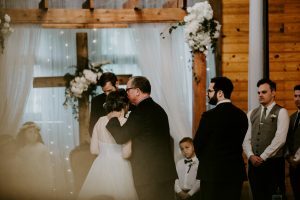 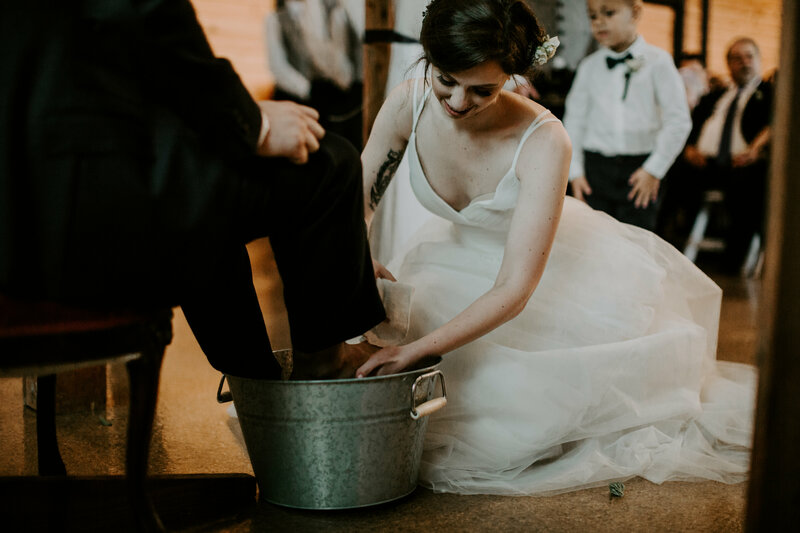 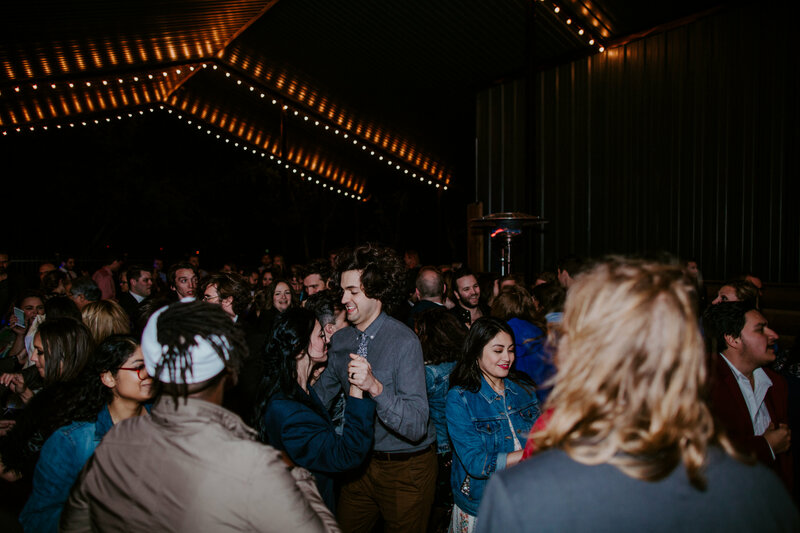 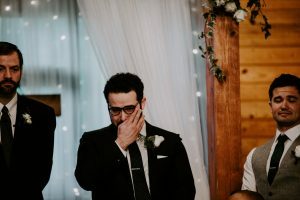 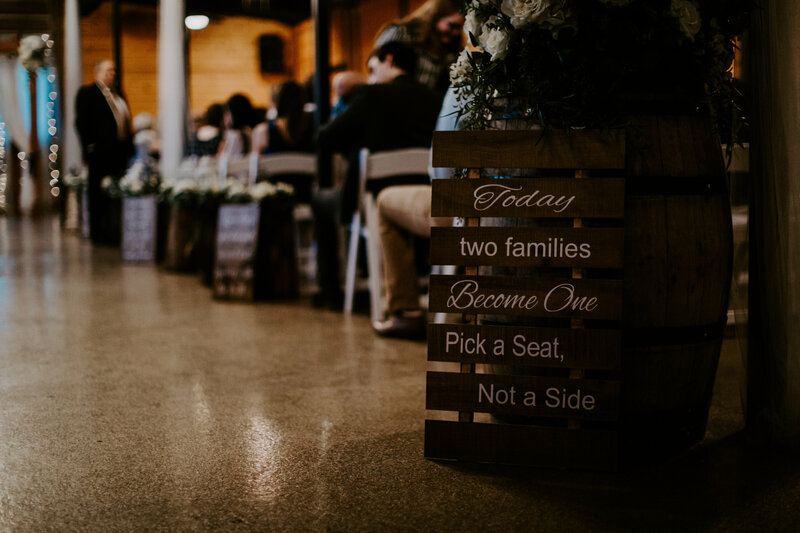 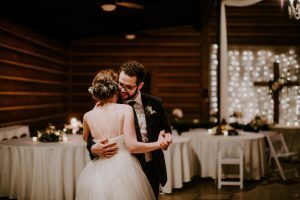 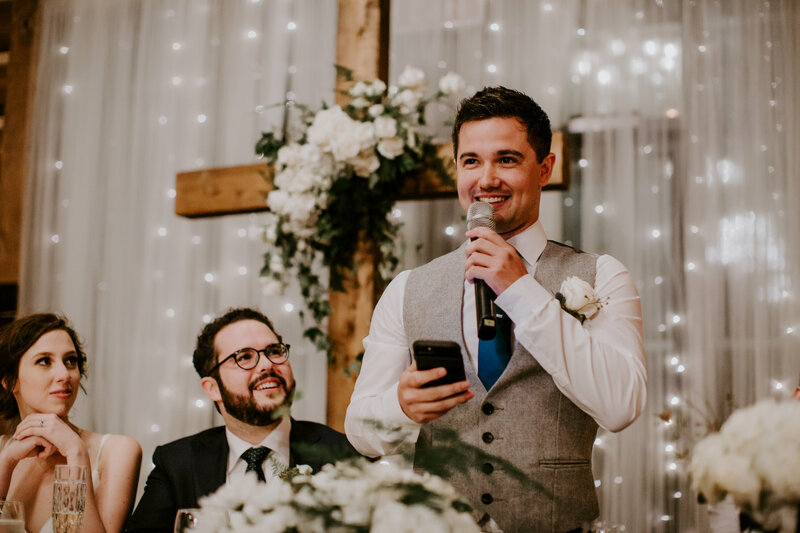 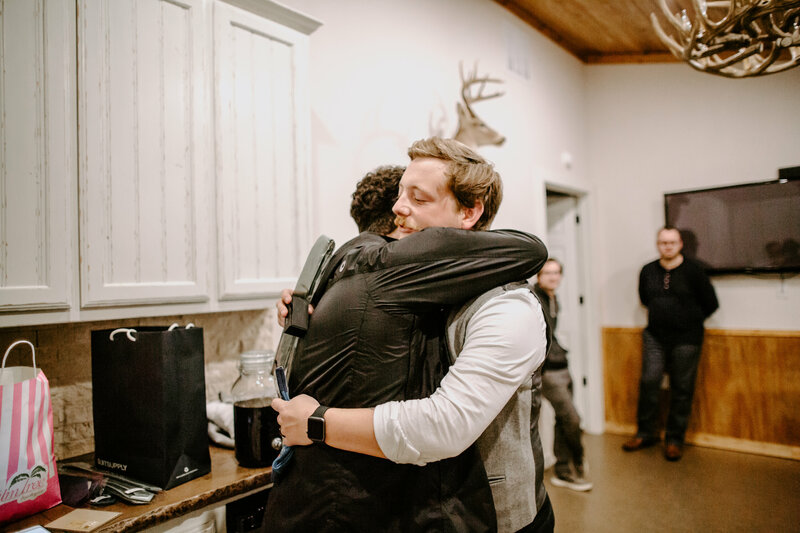 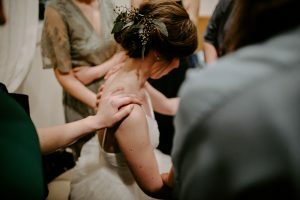 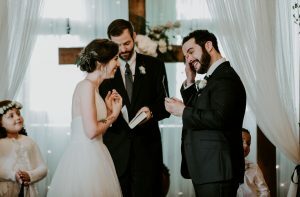 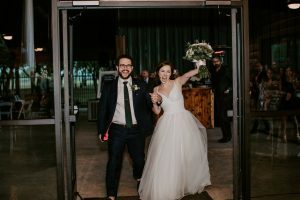 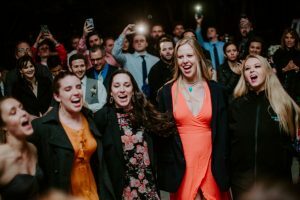 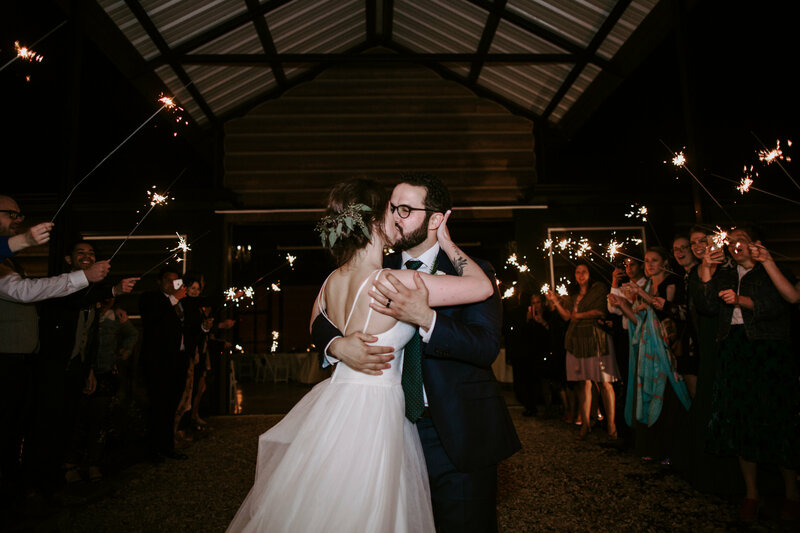 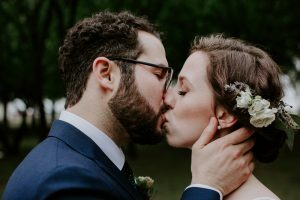 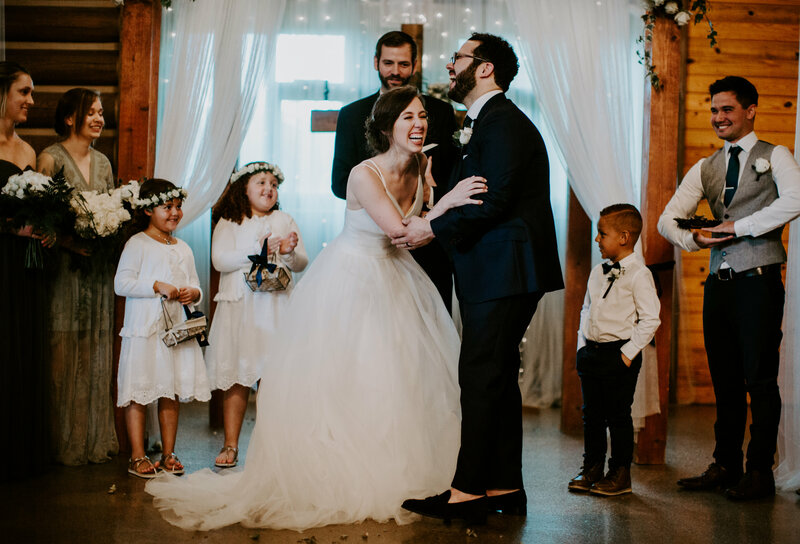 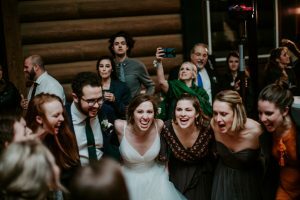 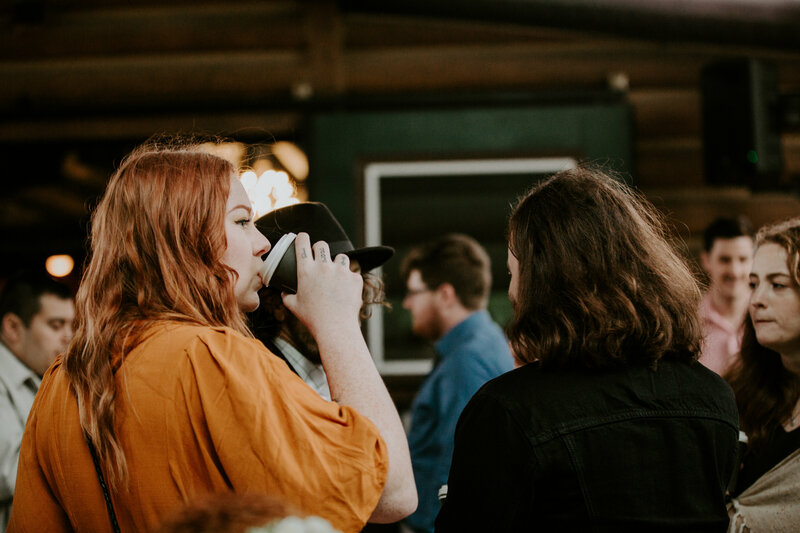 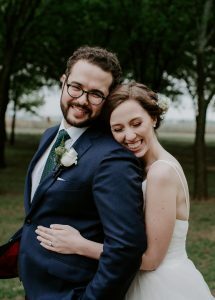 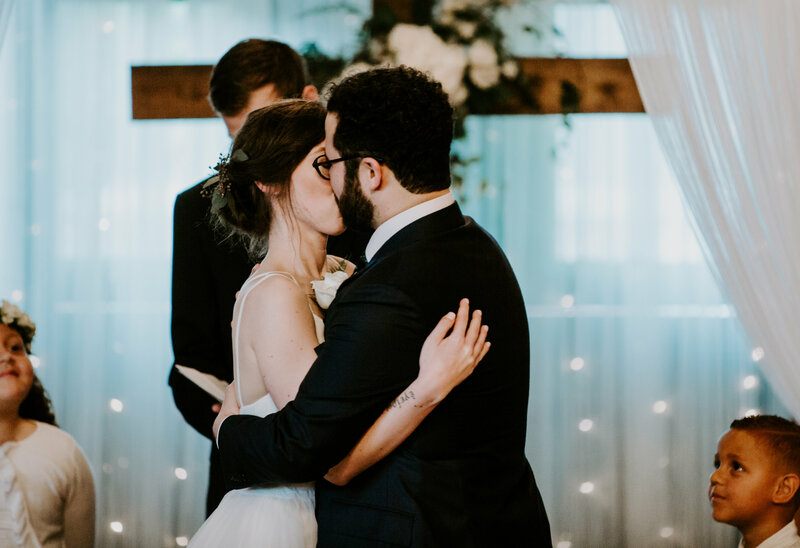 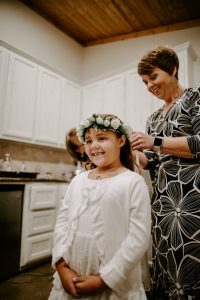 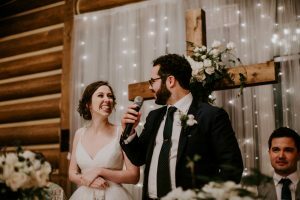 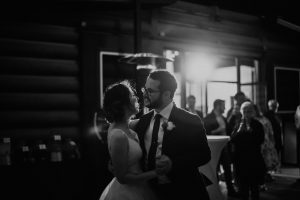 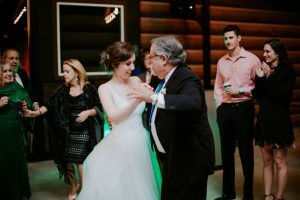 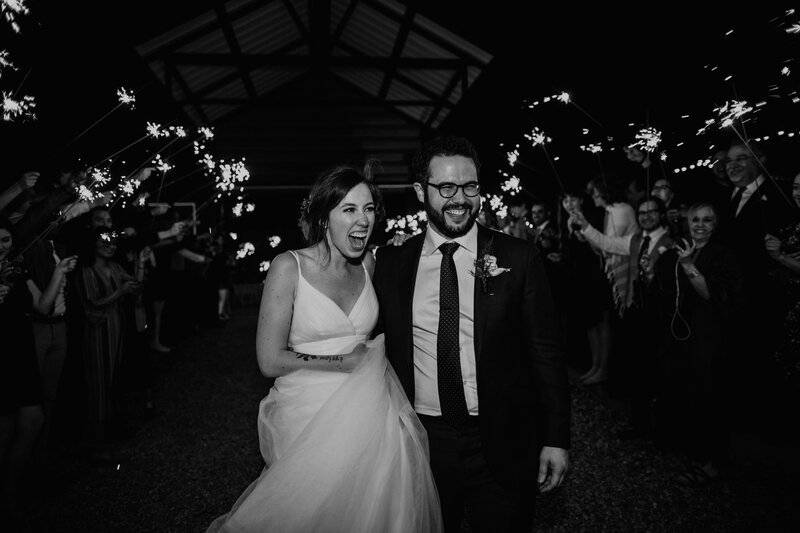 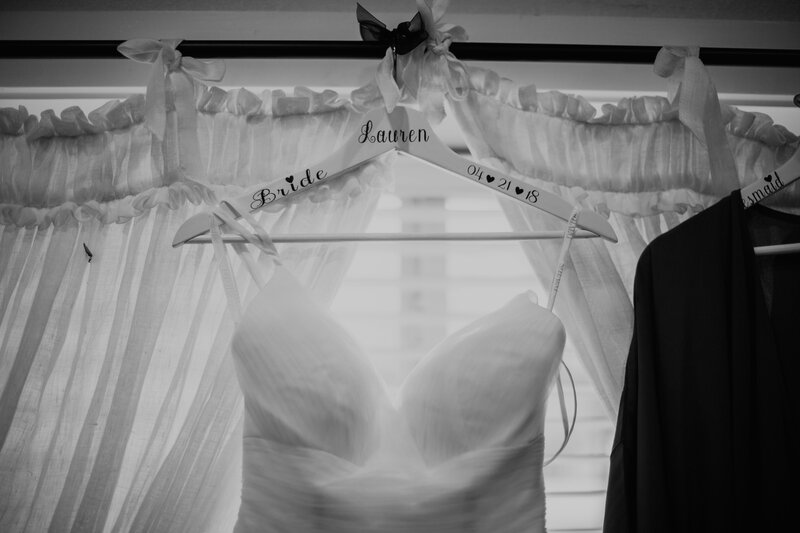 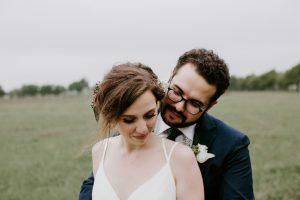 These two are the epitome of undying love, Lauren and Erik met at a good friends engagement party where they spent most of the time talking. On their first date, they spent an entire day together! Starting at church, then to an impromptu Lacrosse Game, Houndstooth Coffee, the Perot Museum, and later spent the evening in the Bishop Arts District in Dallas. 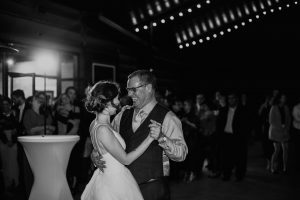 They were then inseparable! 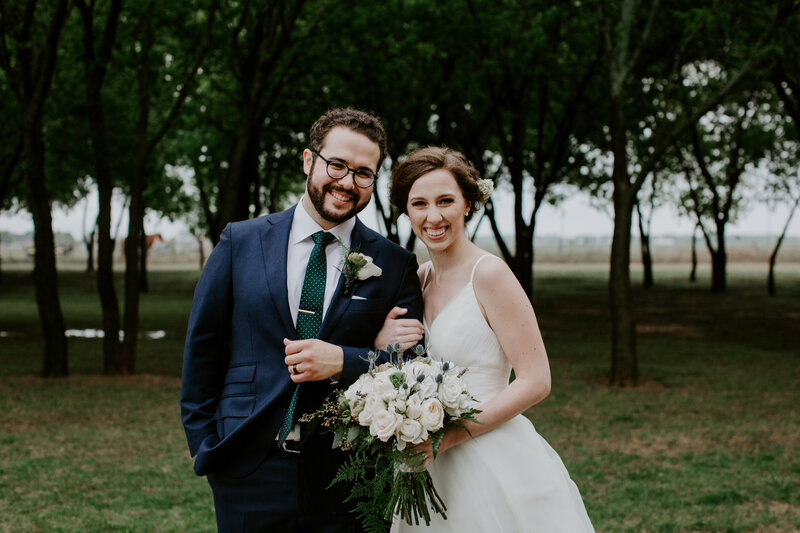 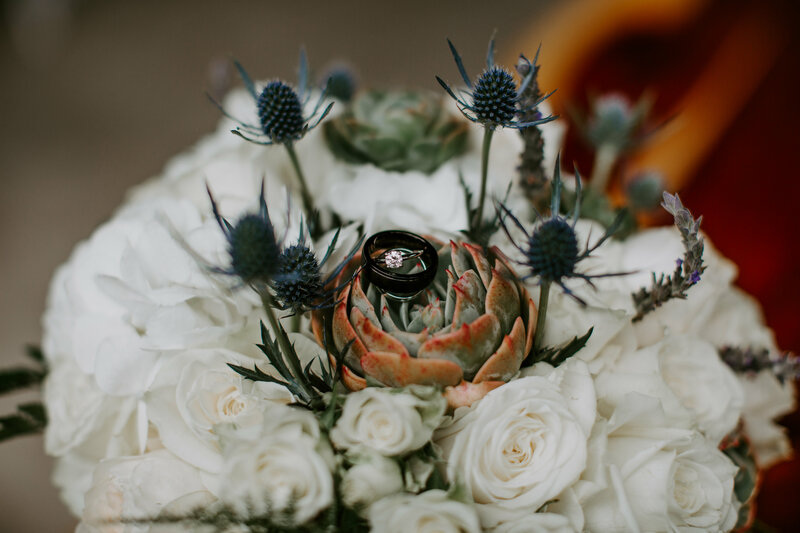 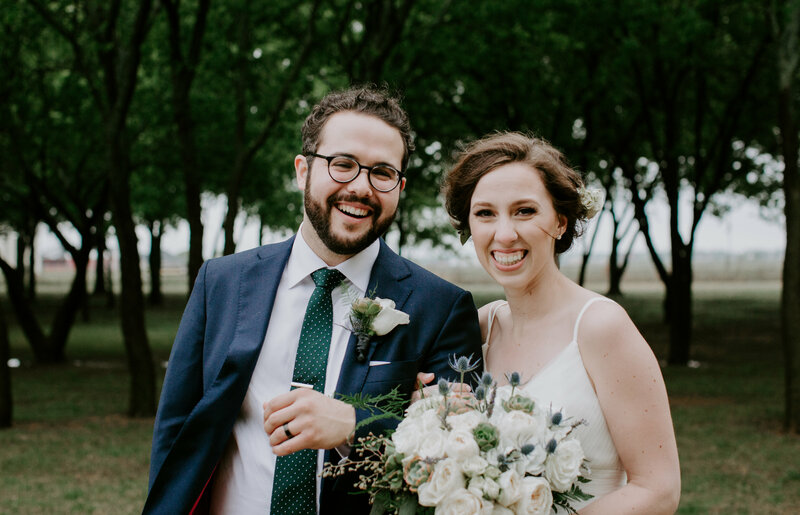 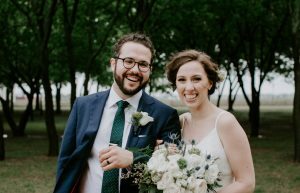 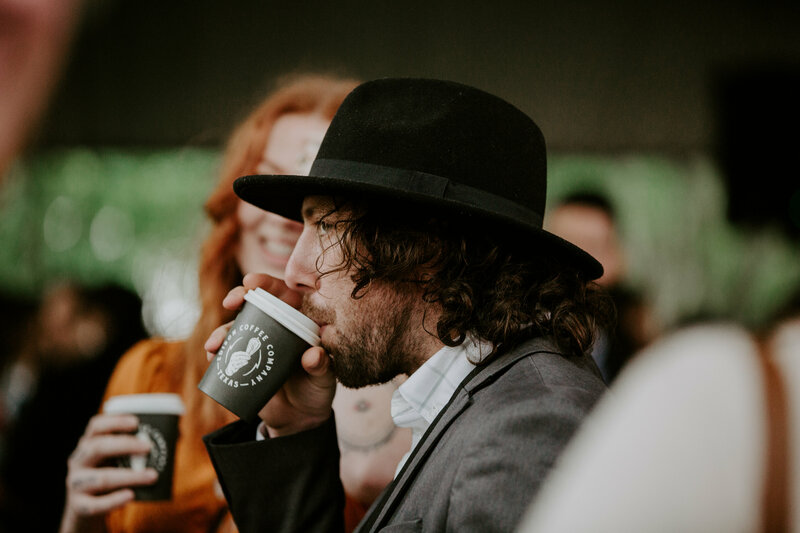 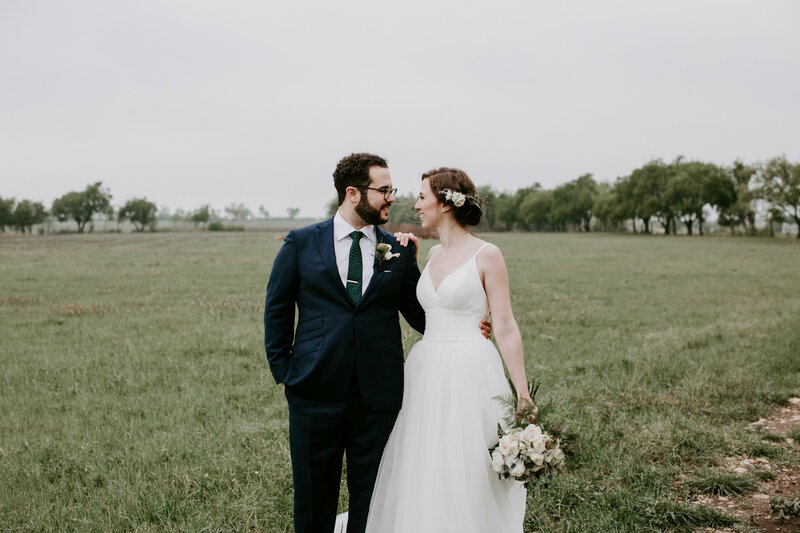 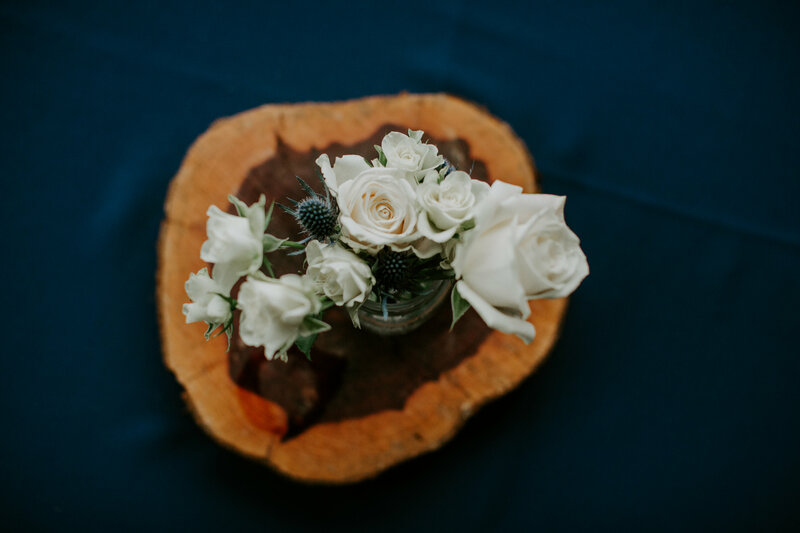 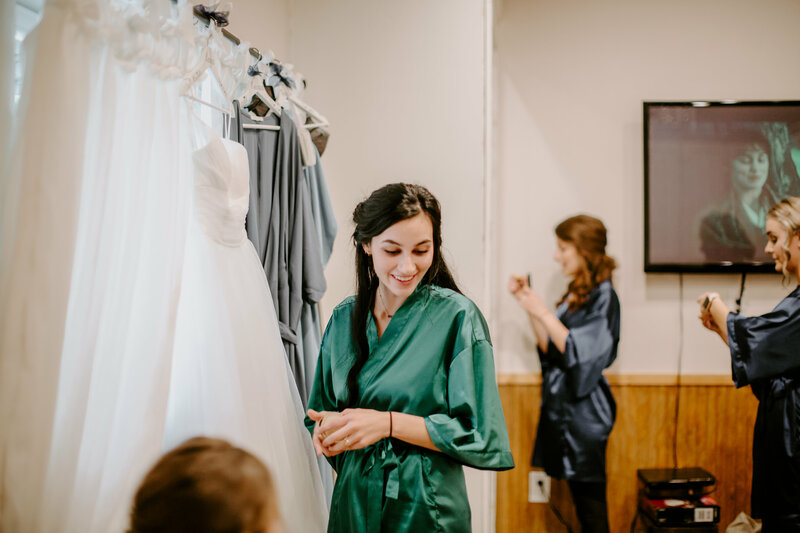 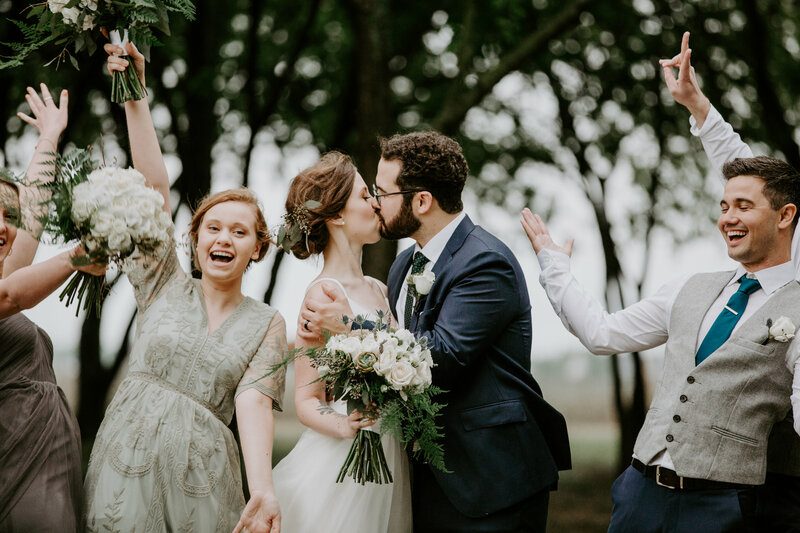 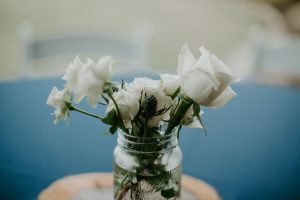 For the wedding, these two chose muted greens, creams, with a hint of blue and we TOTALLY approve. 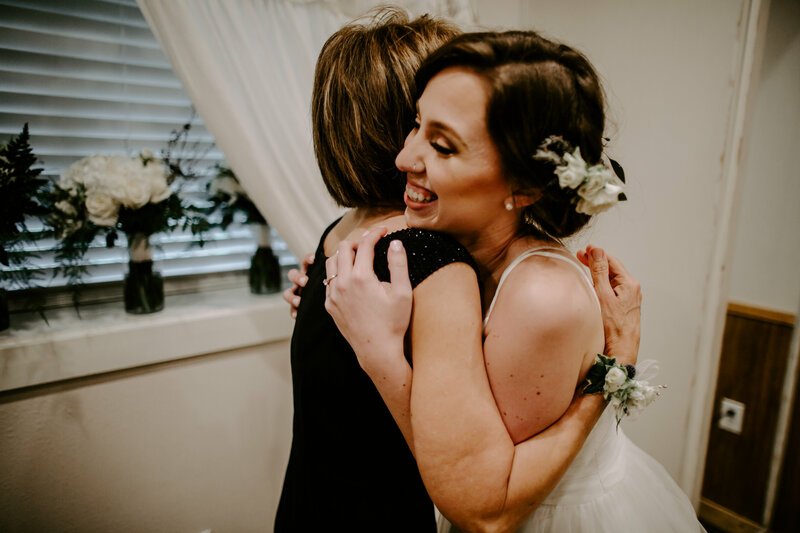 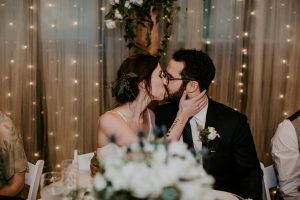 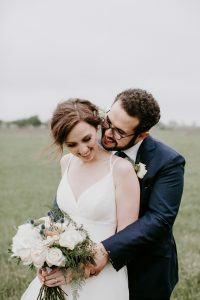 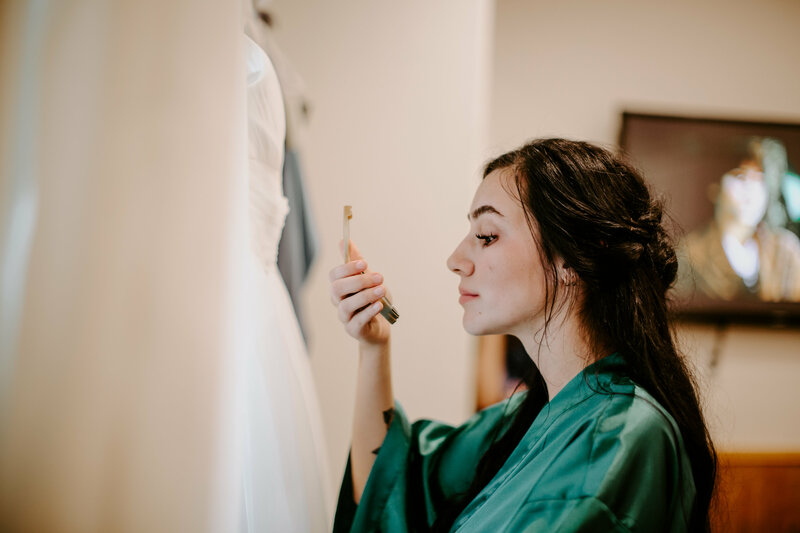 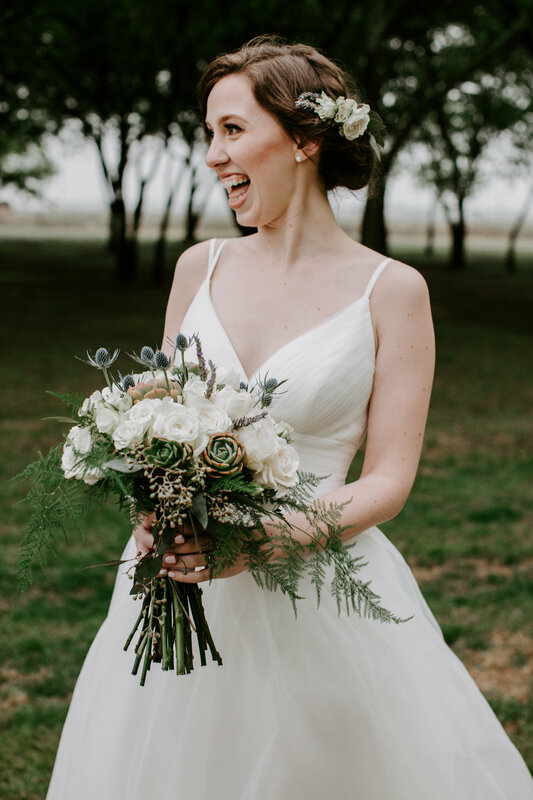 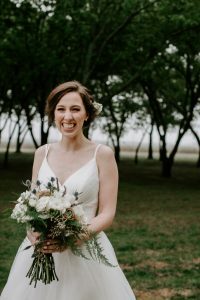 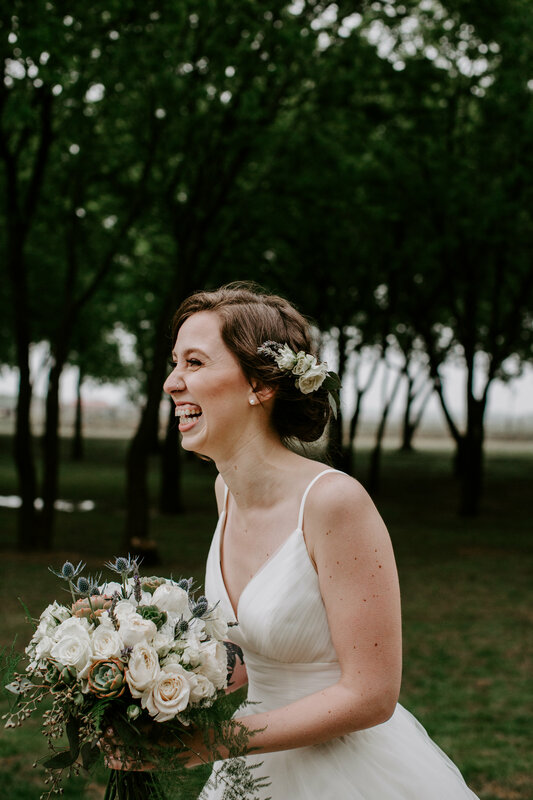 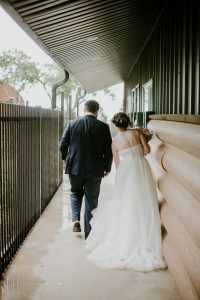 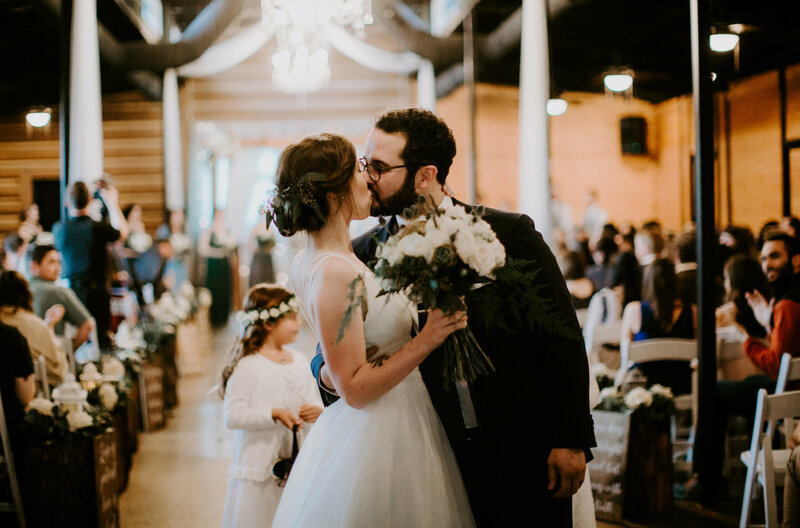 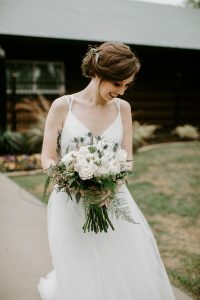 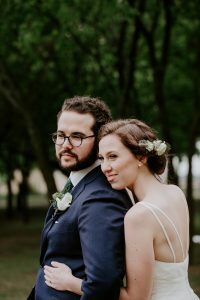 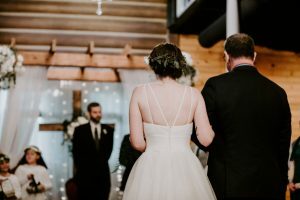 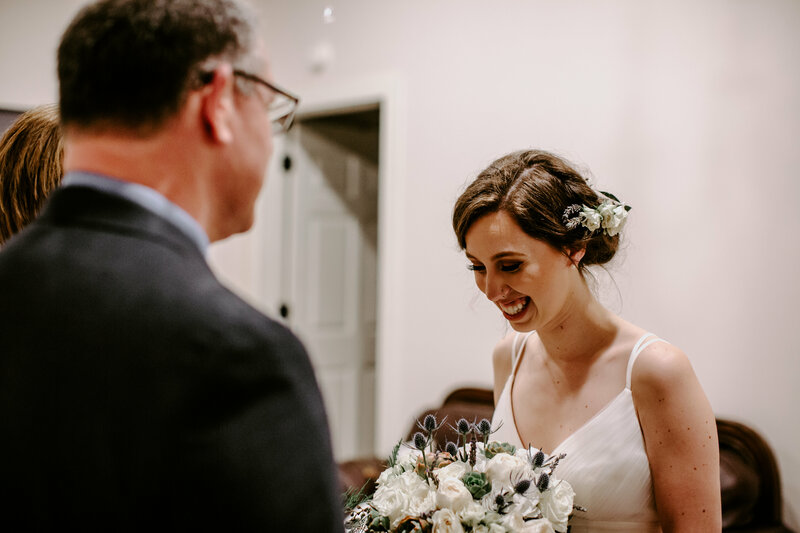 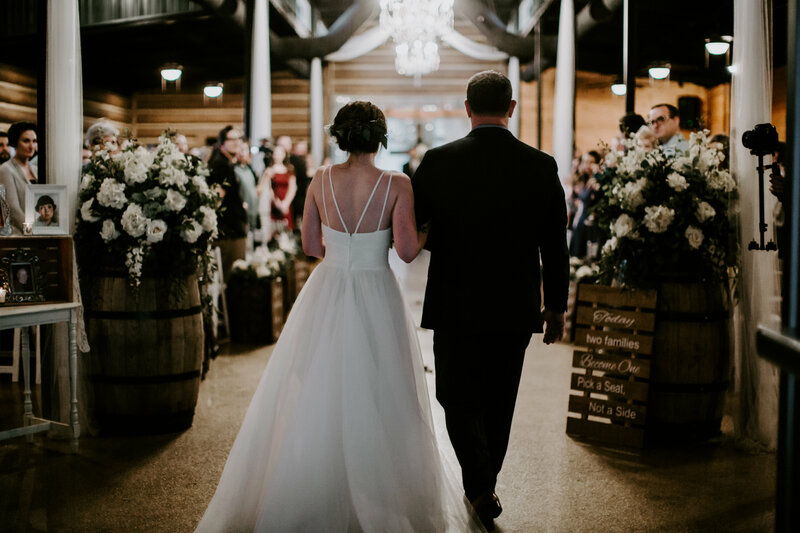 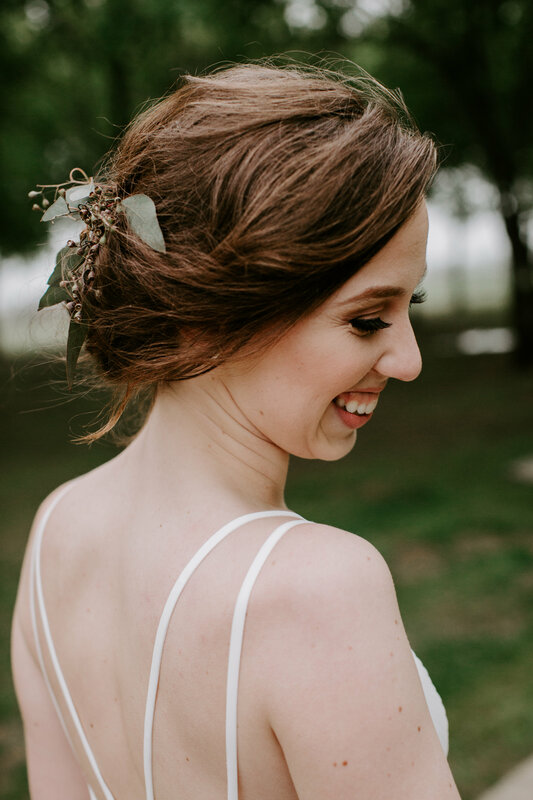 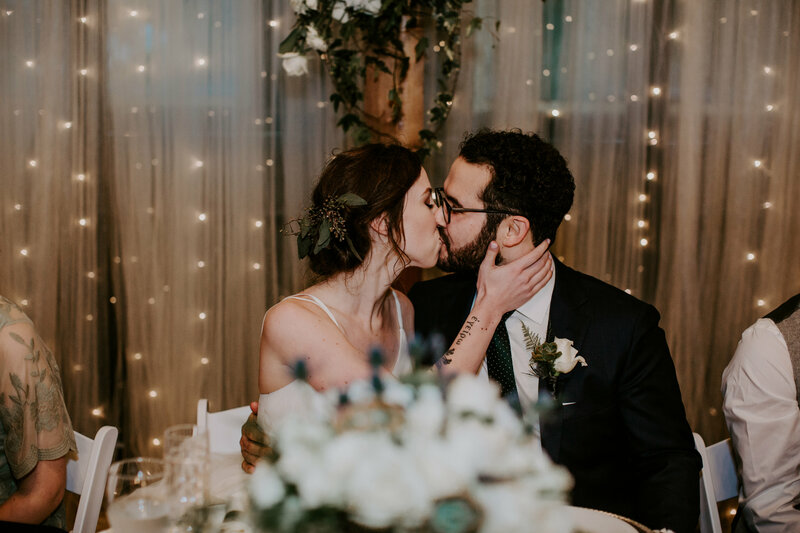 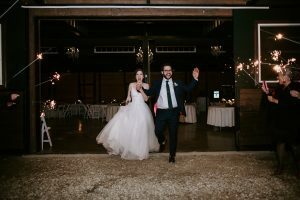 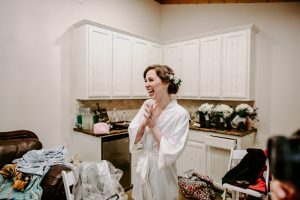 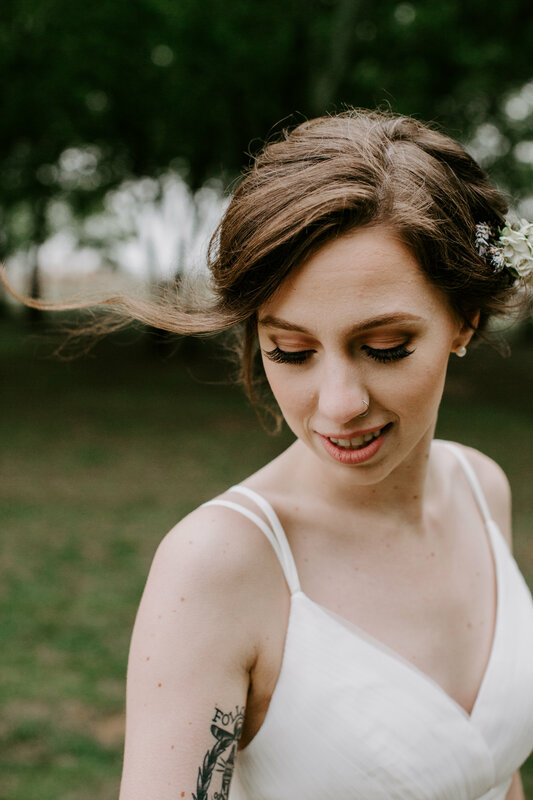 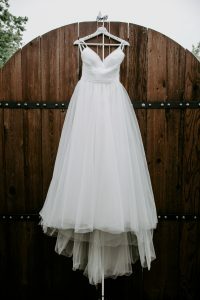 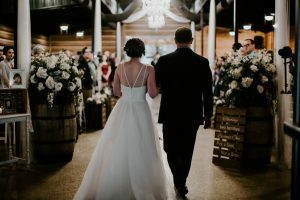 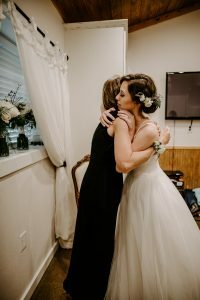 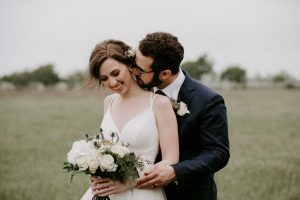 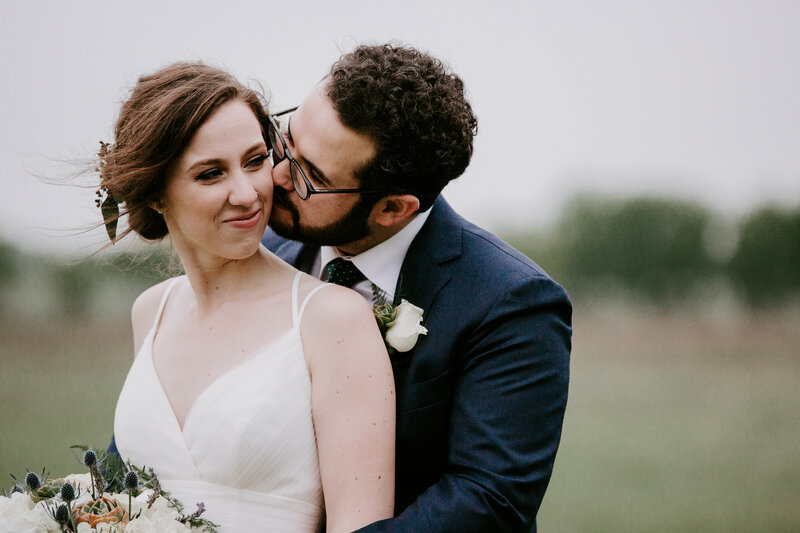 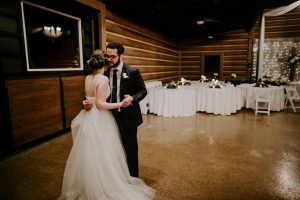 Lauren rocked an elegant low updo with subtle stems of matching floral with a breathtaking spaghetti strapped ballgown dress. With spring showers brings May flowers, am I right? 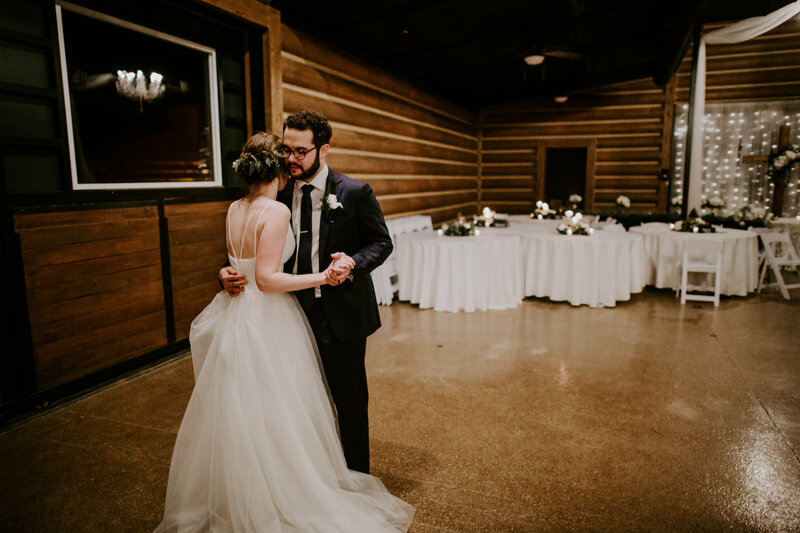 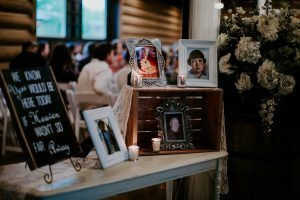 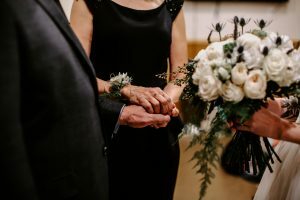 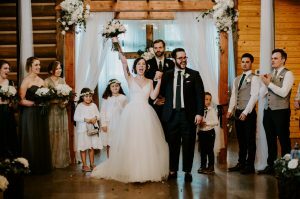 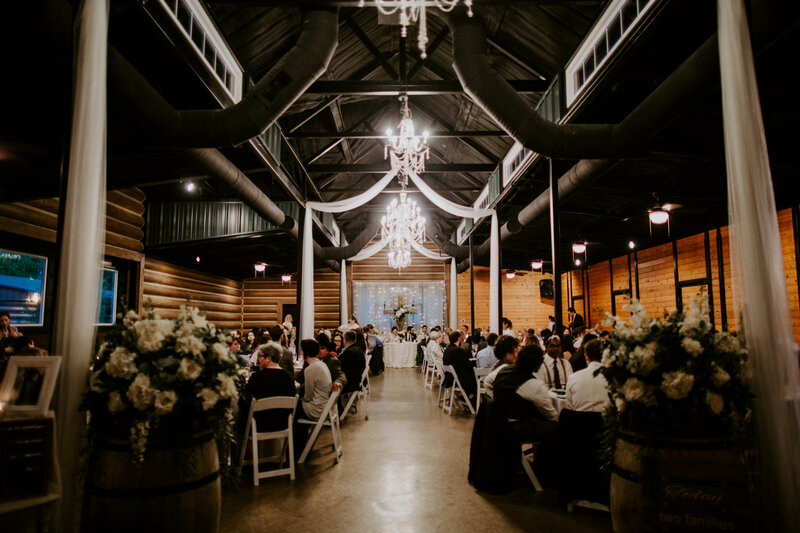 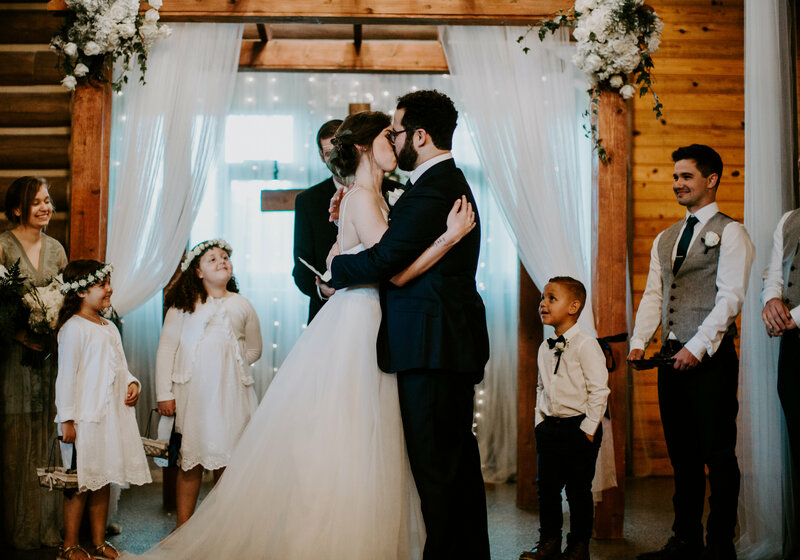 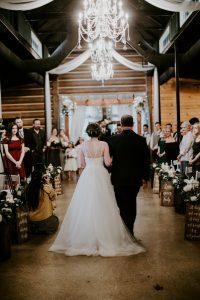 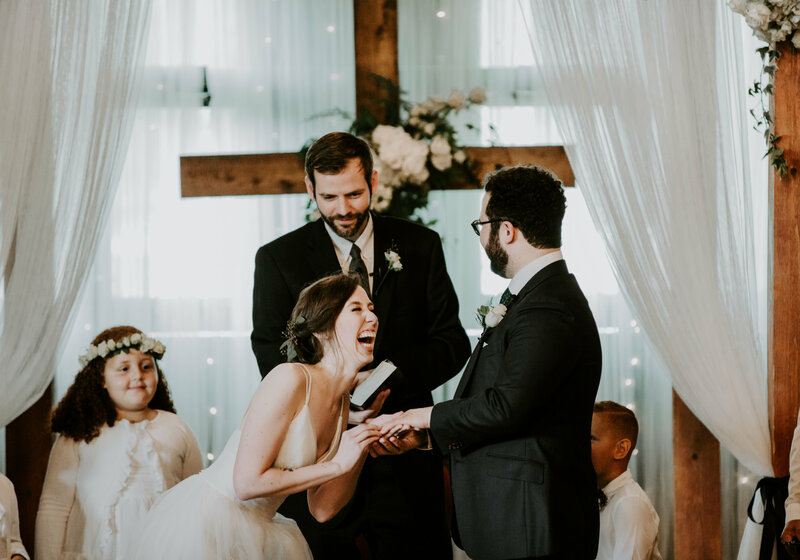 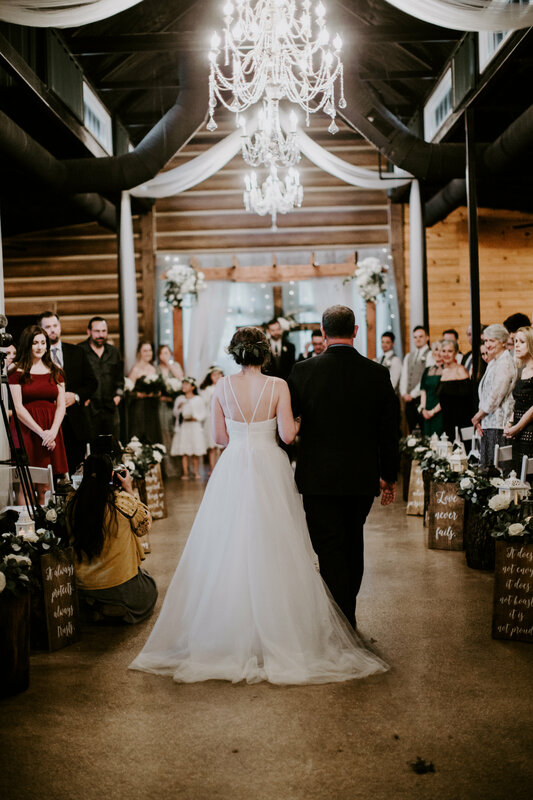 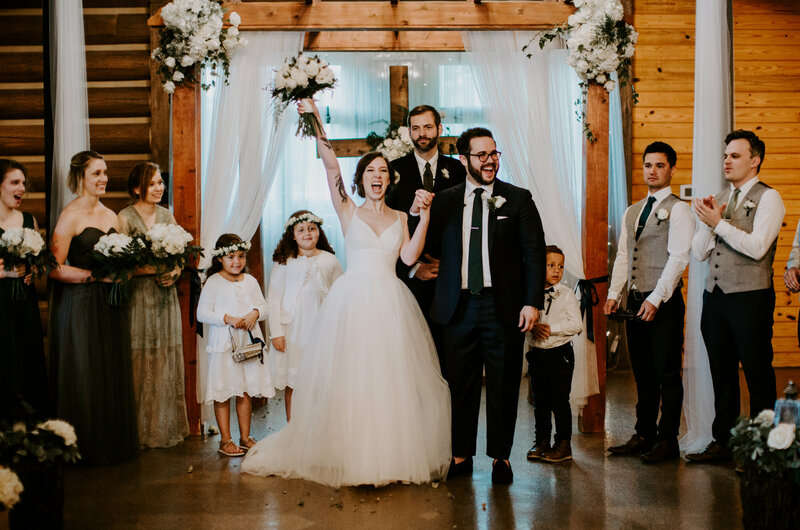 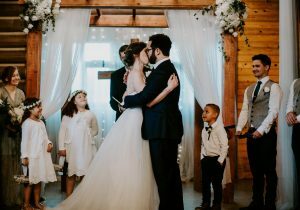 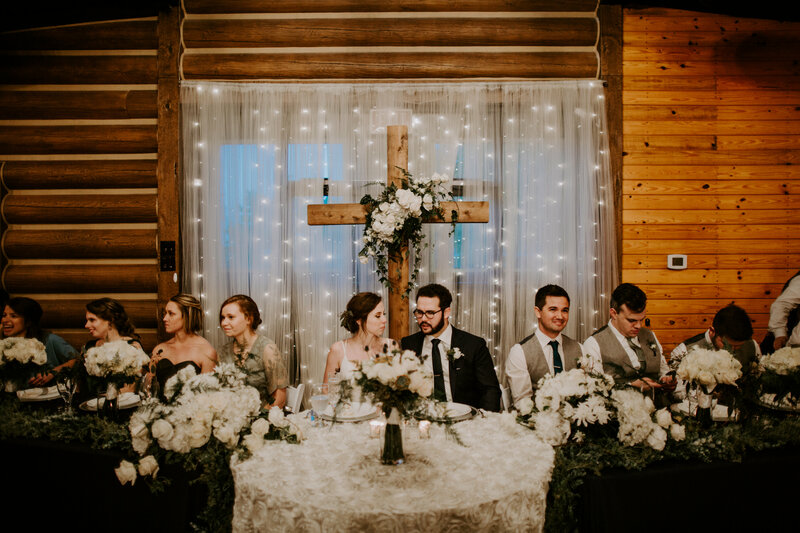 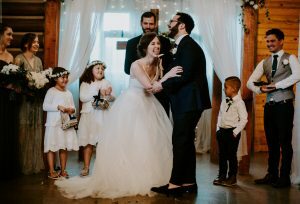 These two chose to celebrate their holy matrimony in our chandelier adorned log cabin and gosh was it a beautiful ceremony. 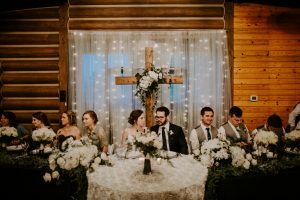 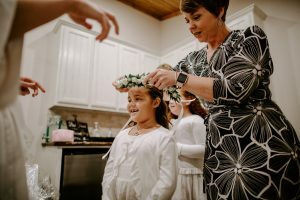 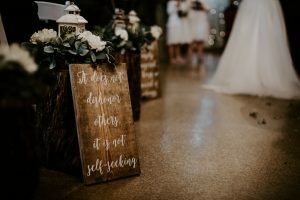 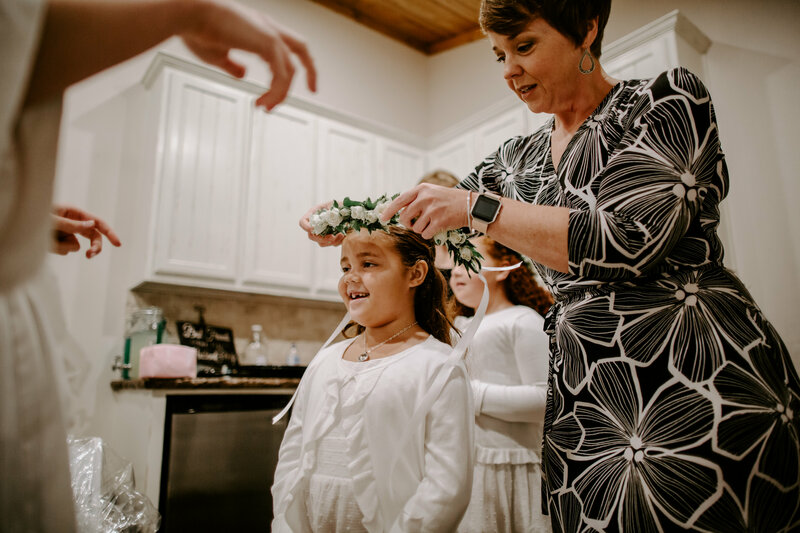 Lined with floral filled tree stumps, scriptures and ending with our wooden cross and pergola, it was all in all very magical. 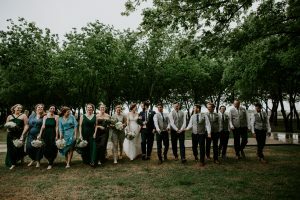 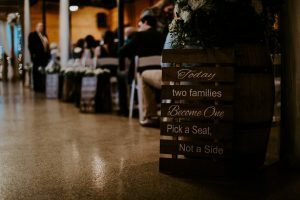 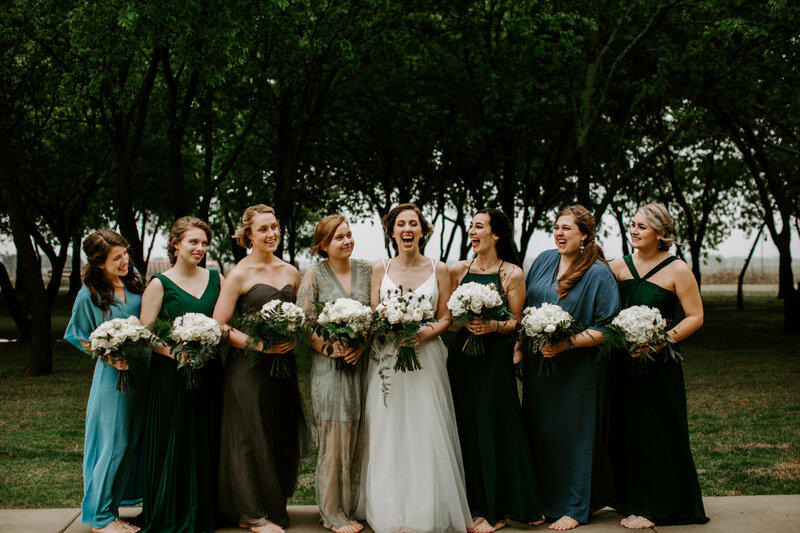 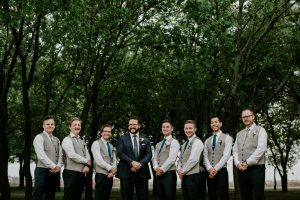 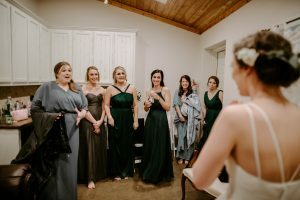 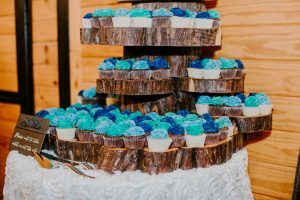 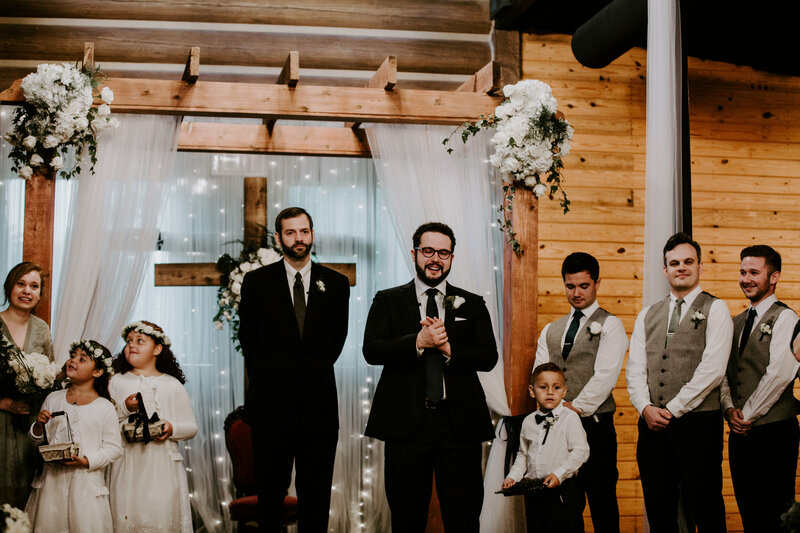 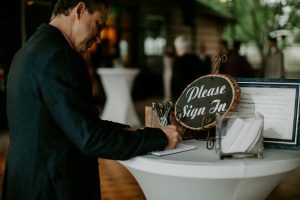 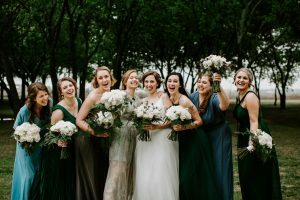 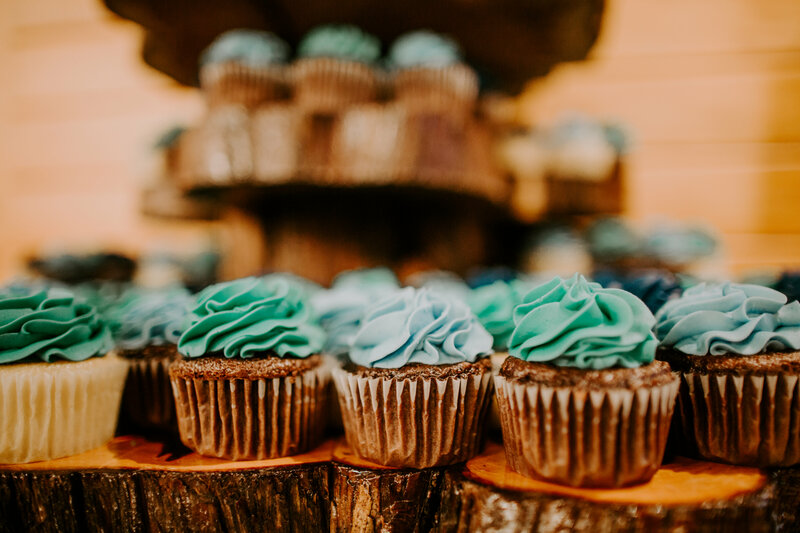 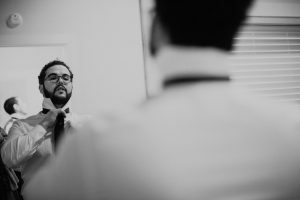 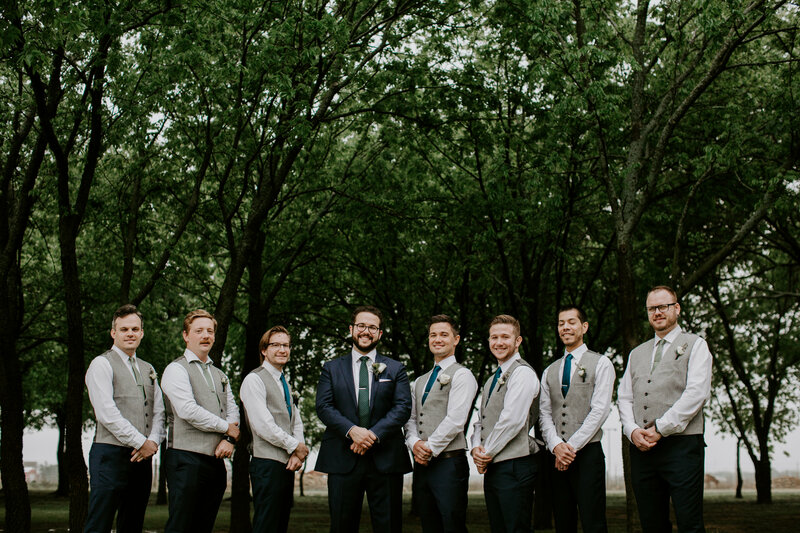 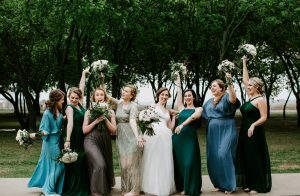 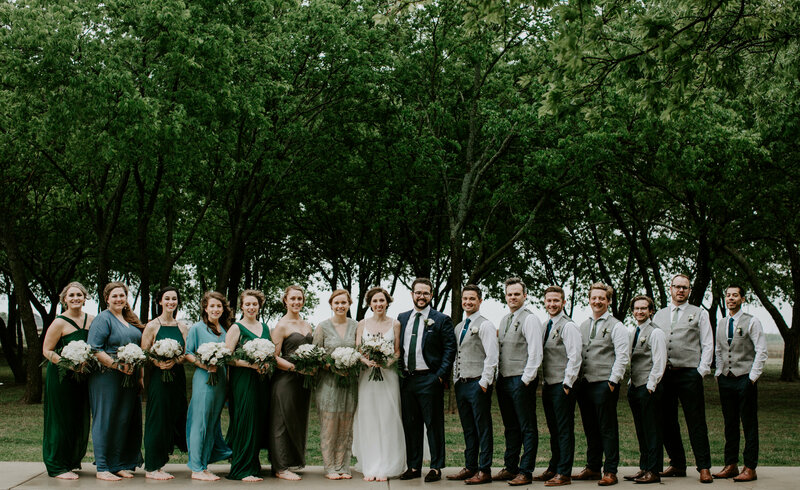 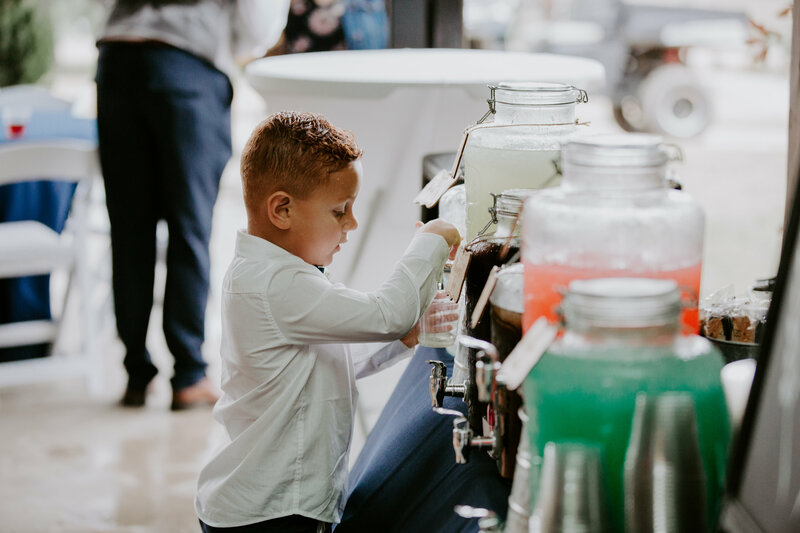 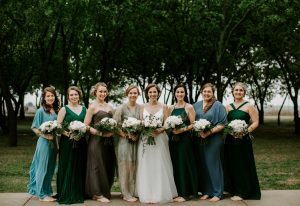 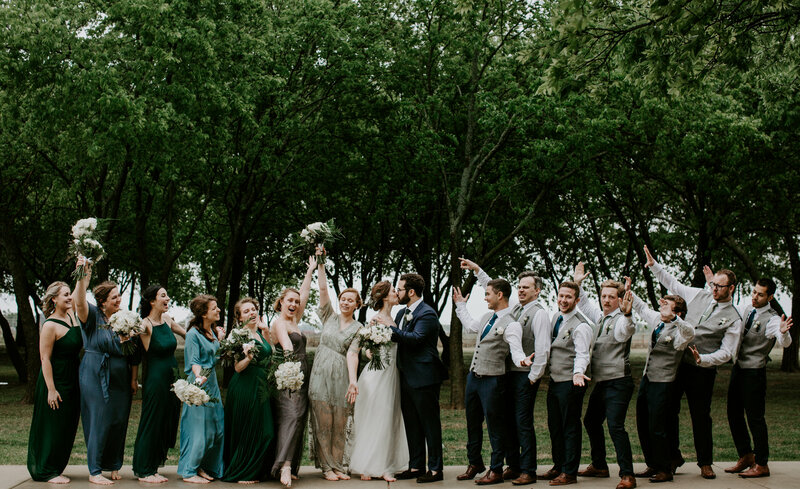 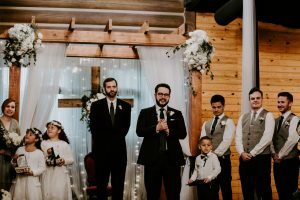 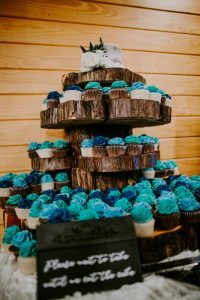 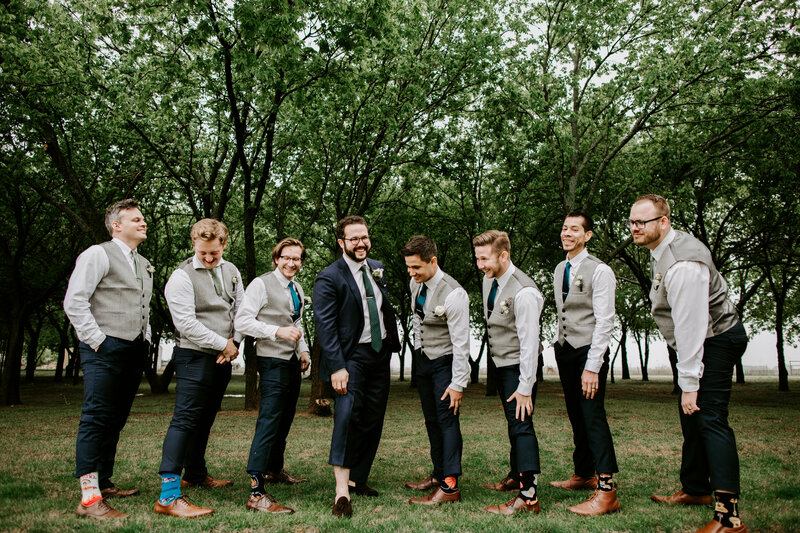 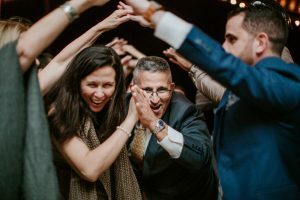 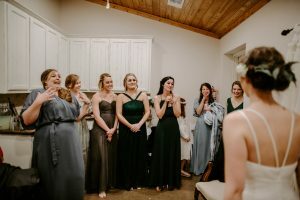 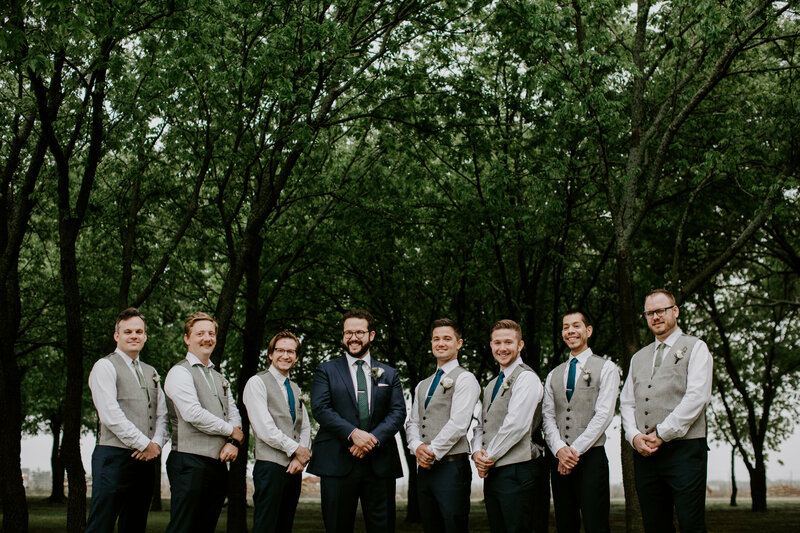 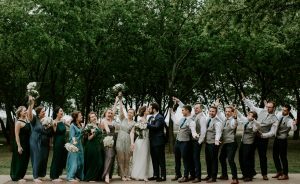 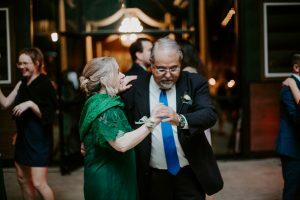 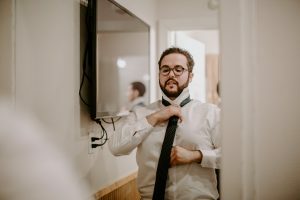 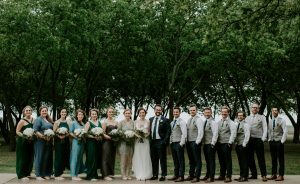 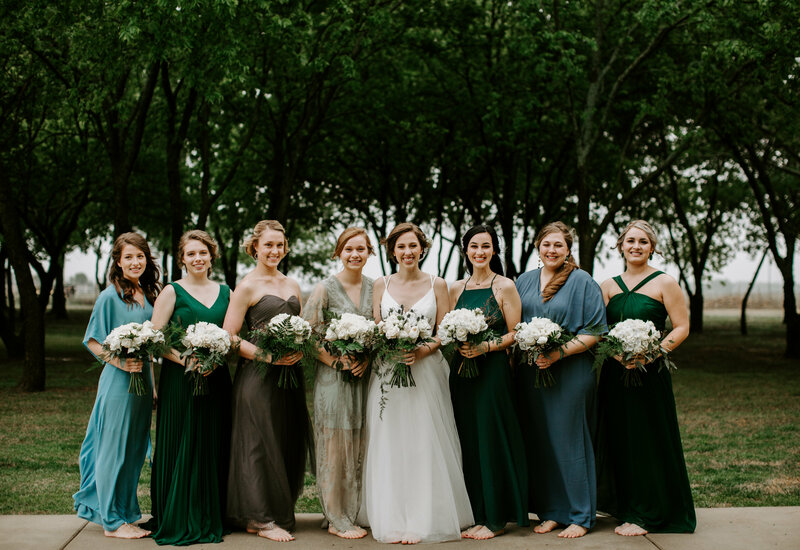 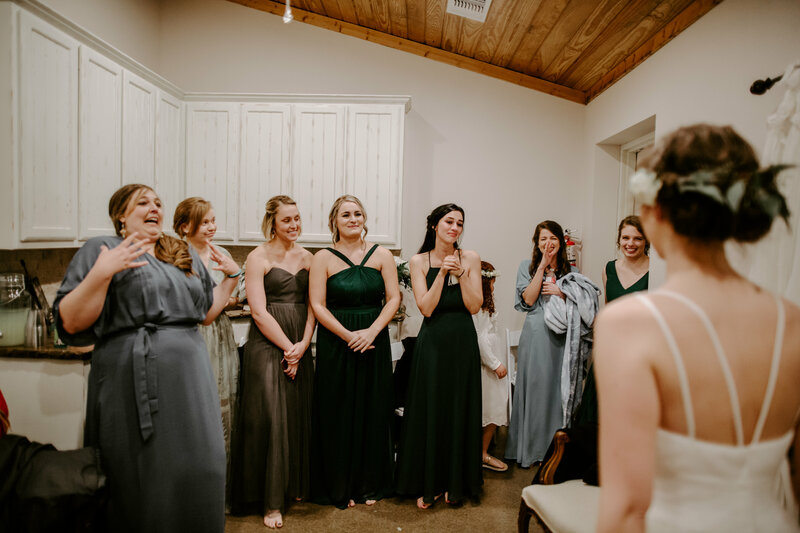 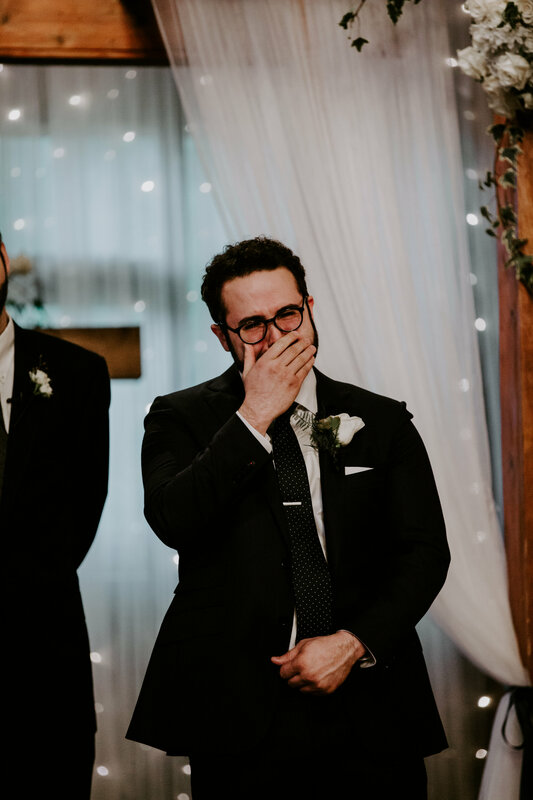 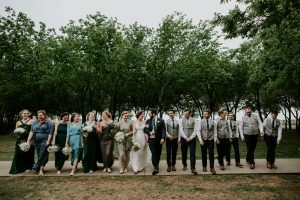 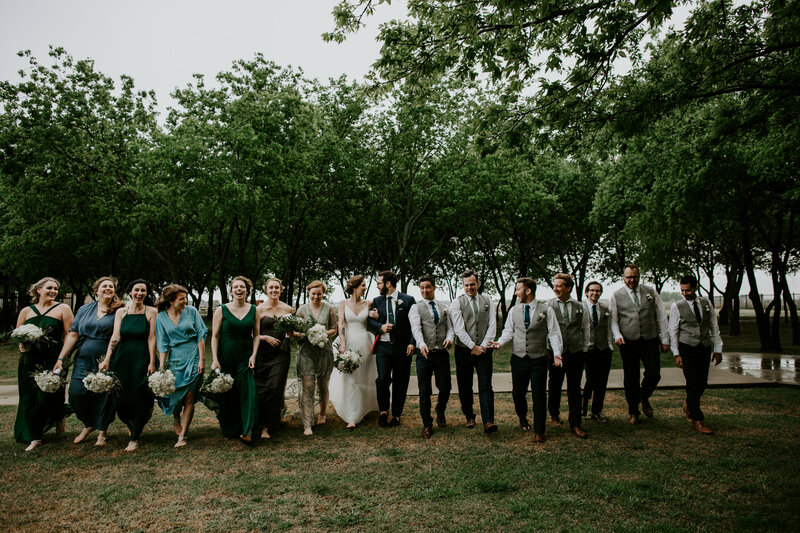 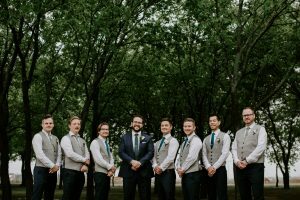 We are OBSESSED with the bridesmaids dress combinations of blues and greens, while the guys sported khaki pants and white shirts, it was a perfect fit!! 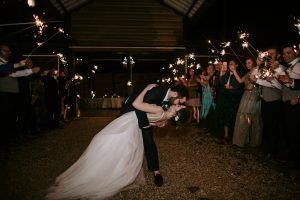 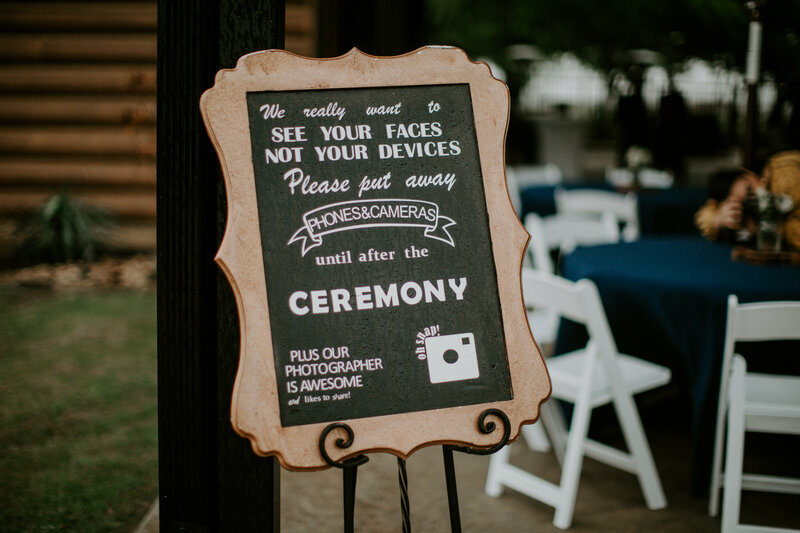 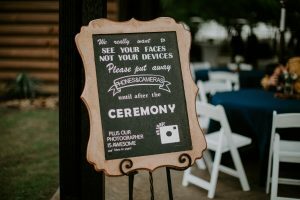 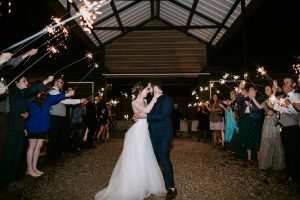 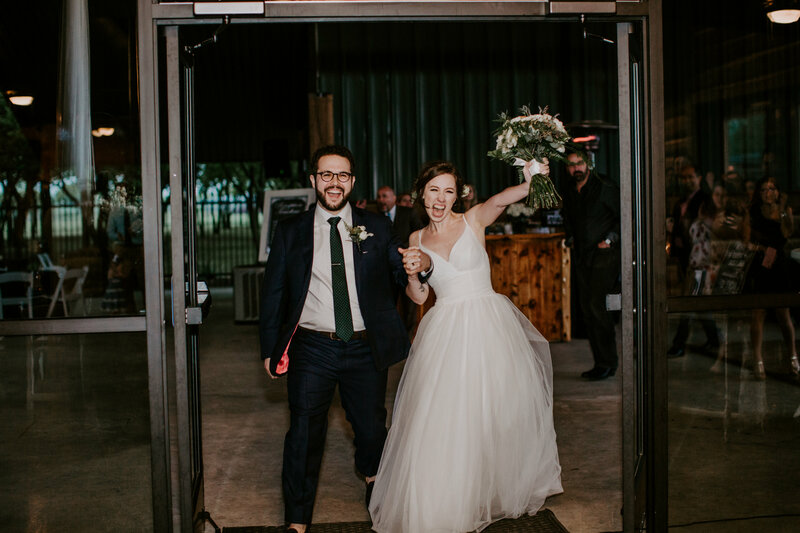 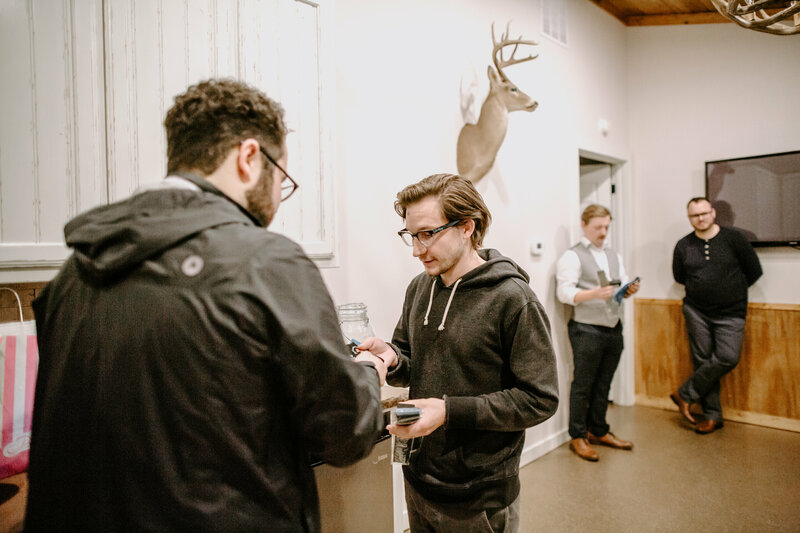 Following their ceremony and dinner, they opted for an outdoor reception area under our bistro lights along with their coffee bar! We had such a blast entertaining this sweet couple and for having the opportunity to share the day with them! 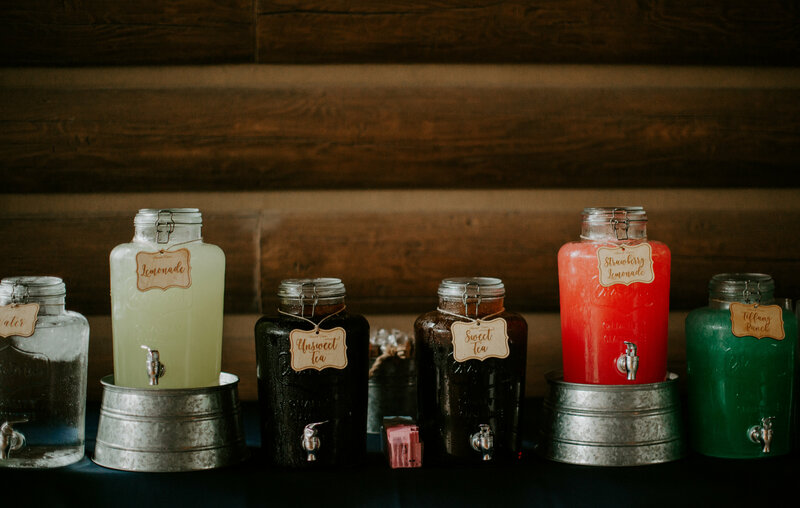 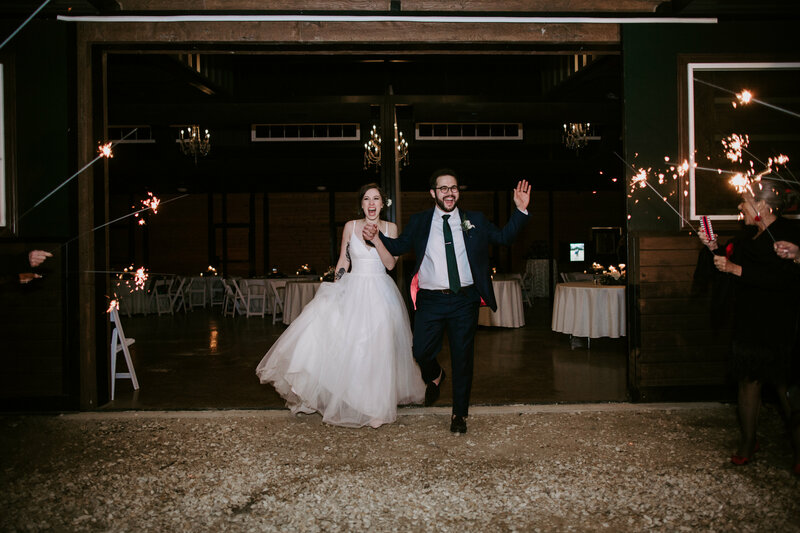 Thank you guys once again for joining the Barnett Estates family, we look forward to sharing so many more anniversaries with you both!! Congratulations! 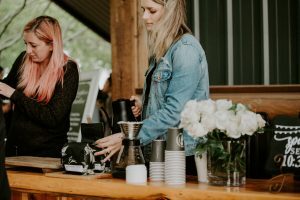 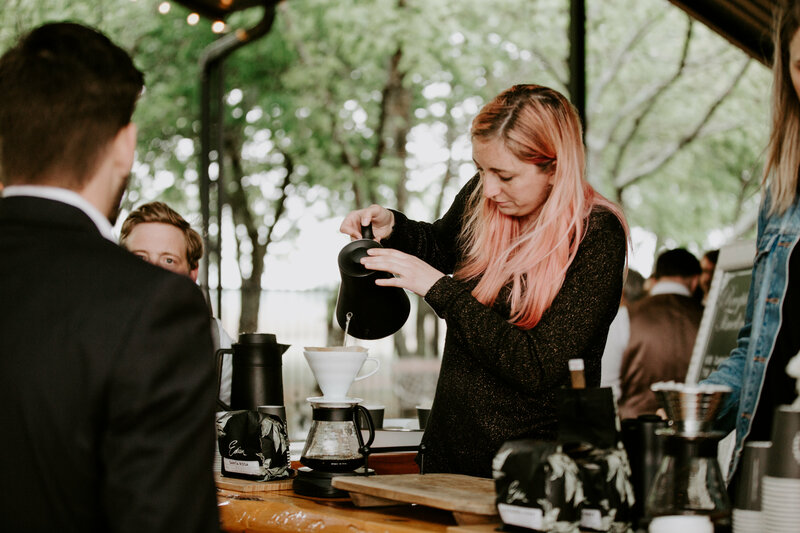 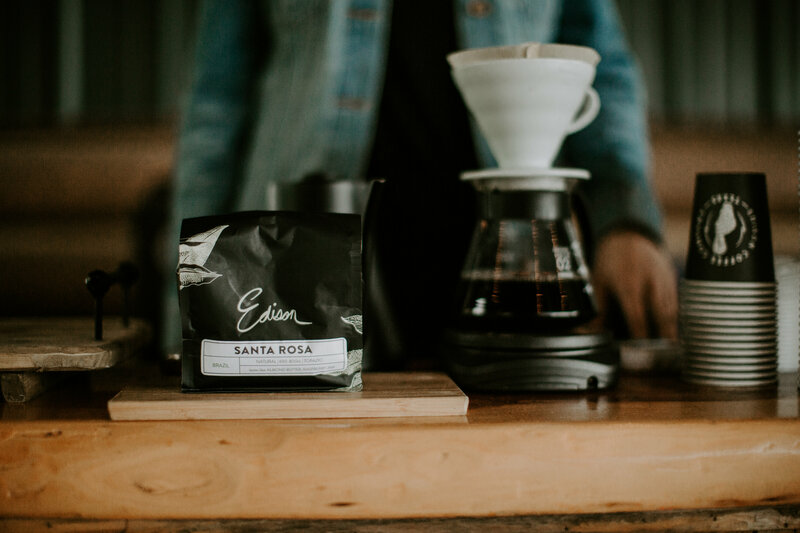 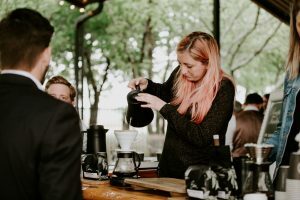 Coffee Bar: Edison Coffee Co.